There are three main yacht styles to choose from, including catamarans, power catamarans and motor yachts, plus monohull sailboats. After determining which yacht style suits you best, contact us and we'll expertly match you with the ideal yacht and crew, at no additional cost to you. Or, we can help you explore recommended options within several yacht styles. Which Yacht Style Is Right For You? Discover more about each yacht style on their specific information pages or learn more about the yacht charter experience. 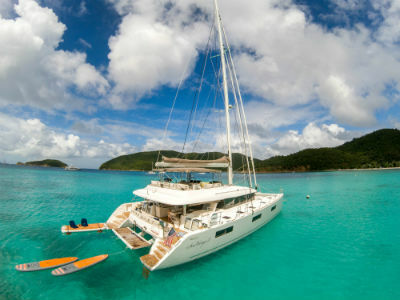 Catamarans: Our most popular and abundant yacht style choice. These yachts are spacious, stable and make an ideal choice for families or couples. 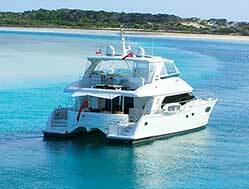 Power Catamarans & Motor Yachts: Perfect for those that desire greater mobility in and around the islands. Power Catamarans have quickly become our #2 yacht style. These new additions to the charter fleet feature modern amenities, ideal layouts, and greater mobility at more-affordable power yacht pricing. Sailboats: A perfect pick for the traditionalist. These yachts remain a very popular choice as they offer guests the true thrill of sailing, plenty of on-board activities, plus lovely traditional features. With their typically more affordable rates, sailboats are a common choice for honeymoons or anniversaries, family groups plus couples charters. Contact the charter experts now so that we can help you determine the right yacht style for you and your charter group. Hi Lynne, As advertised, Le Reve is a fantastic boat. The quality of the finishes and amenities were very impressive and it’s hard to imagine what else could be done to improve the guest experience. Observing other boats at the anchorages, we never suffered from “boat envy”! I want to thank you and Joe for protecting our interests after the hurricanes of 2017. You did a terrific job matching the crew with our family and Le Reve was indeed a beautiful boat. Richard and Adele were very complimentary of you and the service you provide. You are one of their trusted industry friends. Thanks again and please keep in touch. 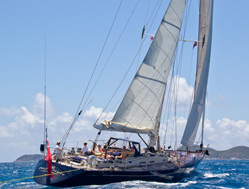 It's never too early to book your Christmas, New Years, or Spring Break charter in the BVI. Top yachts and crews secure bookings up to one year in advance for this popular holiday time frame. While the BVI is by far the most popular destination, we encourage you to contact us directly regarding your interest in other areas, including charters from the BVI to the Grenadines. View our yacht specials to discover which of our catamarans, sailboats and motor yachts are currently offering enticing specials. Choose from the Virgin Islands, including our popular BVI yacht charters, or a charter in the Leeward Islands, or Grenadines, each offering a slightly different flair. Also, we now feature limited crewed yacht charters in Belize. Personalized and private, embark on the vacation of a lifetime! Learn more about what these charters offer.